Yes, it is the same firm which had earlier announced to give a 4-inch smartphone with medium specifications. Later on, it got into the news for scamming people, but it is now ready to ship those phones at the same price with a minimal of Rs. 40 as the delivery charges. The newest development is that it has come up with new products. The features of King includes an 1800 mAh battery unit while the Boss sports a 2,000 mAh battery. The only difference in Raja to King is that it has a 2.8 inch TFT display. And the Tiny Hit feature phone is equipped with a 1.8-inch screen and 1250 mAh battery. The newest smartphones by Ringing Bells are named as Elegant 3G and Freedom Elegance 4G. The main difference between them is suggested by their names itself. The former is 3G enable and costs Rs. 3999 while the latter one has 4G enabled smartphone and priced at Rs. 4999. There is only a slight difference in the specifications. Stand by time: 6 Hours of Talk time and 200 Hours of standby time. Stand by time: 10 Hours 3G and 8 Hours on 4G Talk time and 300 Hours of standby time. 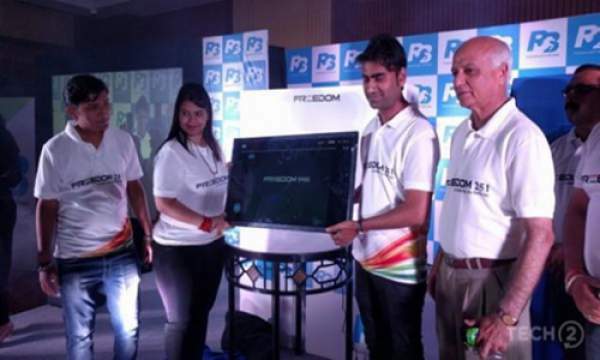 The director Goel told that they don’t have received any complaints yet for Freedom 251 mobile bookings. Further, he said that they didn’t allow online payments after the first batch of 29,200 units which were booked online. Those customers were made refunds and confirmed the same on 29th March 2016. A sum of 84 lakhs was received during that period. I want freedom4g elegance.please give me a freedome mobile. I need freedom 4g elegance. please give me.